Raised in the Pacific Northwest, Dr. Lin is passionate about Endodontics. He is committed to providing the highest standard of treatment, quality, and care, and is a published author in the Endodontic field. Dr. Lin obtained his bachelor’s degree from the University of Puget Sound in Tacoma, then earned his Doctorate in Dental Surgery (DDS) with Honors from New York University College of Dentistry, with a specific focus in Endodontics. Upon graduation from dental school, he relocated to Hawaii to complete a residency in Advanced Education in General Dentistry (AEGD) through the Lutheran Medical Center. He remained in Hawaii and practiced as a general dentist for several more years before beginning his post-doctoral Endodontic residency. He received his advanced Endodontic certificate from the prestigious Oregon Health & Science University in Portland, one of the top programs in the country. He also speaks Mandarin and Taiwanese. 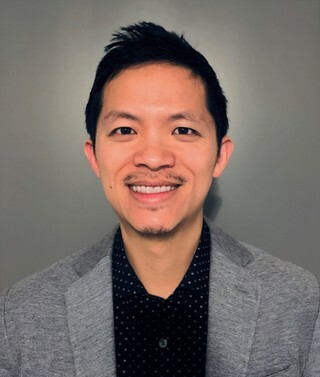 Dr. Lin has been selected as a Top Dentist 2019 in the Seattle area by his peers. In his spare time, Dr. Lin enjoys spending time with his wife and children. He's also a big fan of Seattle team sports.